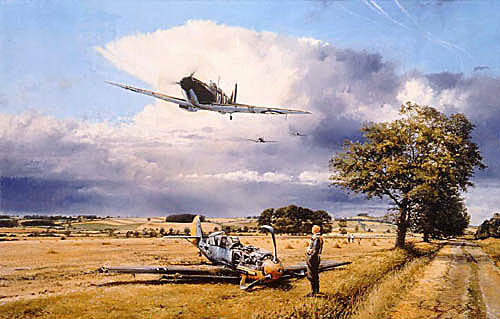 This Trilogy was issued as part of the 50th Anniversary of the Battle of Britain. It consists of 3 prints, each a classic in its own right. The first (illustrated) is Summer Victory.